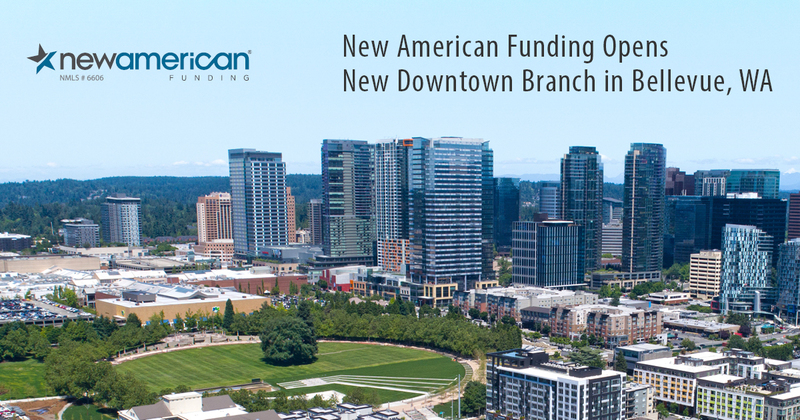 New American Funding, a leader in the mortgage industry, is expanding its territory across the Greater Eastside with the grand opening of a branch in the heart of Bellevue’s business district. The new location, which is on 10400 NE 4th St., will celebrate with a ribbon-cutting ceremony on Thursday, March 8 at 4:30 PM PST, along with the Kirkland Mayor and Chamber of Commerce. The national mortgage lender opened the branch after recognizing the tremendous growth in the Seattle metro area and saw this as an opportunity to service the needs of consumers throughout Kirkland and Bellevue. The full-service branch will offer a range of purchase and refinance products with a focus on jumbo loans and the New American Funding 1% Down program. Bowar, a native of the area, was identified to lead the expansion due to her track record in the mortgage industry and connection to the community. She brings more than 25 years of experience to the company and was recognized in 2016 by Mortgage Executive Magazine as a Top 1% Mortgage Originator nationwide.